I don't know how I did it, but somehow I've survived many years without once stumbling upon a Meyer lemon. I've read about them, imagined them, pined for them, but assumed I'd never see one up close as long as I was in New England during their season. It was my impression they grew in small, private California groves and were too perishable to be shipped across country. Imagine my unbridled glee then, when I was shopping at a local Shaw's last week, and before my eyes gleamed beautiful, smooth-skinned Meyer lemons, five juicy orbs to a bag. Of course, I was unprepared and immediately began to dither, trying to conjure up recipes I'd been forced to bypass in the years I was lemonless. 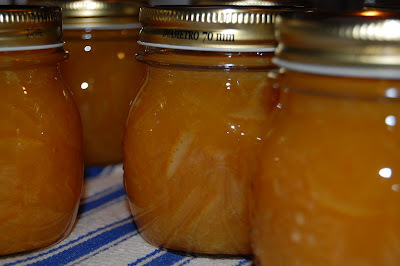 But, since my brain shorts out when I'm excited, nothing immediately came to mind but marmalade. First, if you've been sheltered like me and haven't partaken of this particular fruit, it's described as a cross between a lemon and a mandarin orange, and that's pretty much what it tastes like - sweeter than a lemon, slightly tangeriney - but I'd guess it's the je ne sais quoi quality that sends people swooning. If I must fumble to describe it I would have to call it floral. I cut into my first Meyer lemon imagining I would sample a sliver, and ended up eating the whole thing (this may be because citrus fruit here in Vermont often seems to be destroyed by freezing temperatures along its journey north - a depressing surprise when you're anticipating sunshine-nurtured succulence). These lemons were perfect. If you're not prone to making fruit preserves I'd recommend you at least make a batch of lemonade while they're available; if that seems incongruous in January, make hot lemonade and sip it out of a mug (perhaps enhanced with a shot of bourbon or rum?). Luckily, I was able to make the best of my find with a marmalade recipe by Edon Waycott, from her now out-of-print Preserving The Taste. Finding a copy of this book was itself quite a coup, as it has been hailed by many cookbook authors and used copies have been swept up. If you luck out and get your hands on one, congratulations. Although it looks unassuming, the recipes truly capture the essence of their ingredients, often using less sugar and forgoing commercial pectin. 1. Remove the zest of 16 lemons with a zester. Or carefully cut it away with a paring knife, then slice the pieces into 1/8th inch strips. Reserve the remaining 4 lemons for juice. Place the zest in a large bowl. 2. With a paring knife, remove all but a very thin layer of the white pith and cut the fruit into quarters. Remove as many seeds as possible. Place the pulp in a food processor fitted with the metal blade and pulse until coarsely chopped. Measure the pulp and juices and add an equal amount of water. Pour the mixture into the bowl with zest. Let stand at least 4 hours at room temperature or overnight, covered, in the refrigerator. 3. Pour the mixture into a shallow preserving pan and add the same amount of sugar as you did water in Step 2. Add the juice from the 4 remaining lemons. Stir and bring to a boil over moderately high heat. Scoop out any seeds. Cook for 30 minutes. 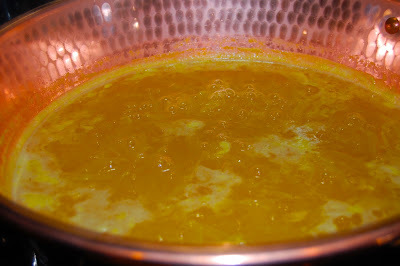 The marmalade will look thin, but it continues to thicken as it cools. *If you want to be scientifically foolproof about things, use a candy thermometer and cook marmalade to 220 degrees F. That is the temperature at which it gels. *Add 1 minute of water-bath processing time per each 1000 feet above sea level. 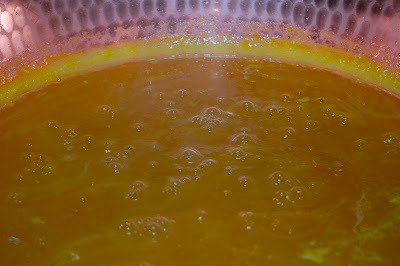 *Fellow home-canners out there may cringe upon seeing my photos depicting lemon marmalade bubbling in an unlined copper preserving pan. I know, I thought that was verboten too, until I read the recently released Blue Chair Jam Cookbook and discovered author Rachel Saunders blithely using copper vessels for all her commercially prepared preserves, including acidic ones. 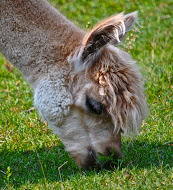 After much research, I could only ascertain her philosophy is that as long as the fruit is mixed with sugar and cooked briefly there is no real danger of lethal leaching; the problem occurs when fruit alone is left to sit in unlined vessels for long periods. Since she sells her preserves to the public and I would imagine her operation has been examined and okayed by those-in-the-know, I decided to relax my rules a bit in this case. If I start exhibiting signs of copper poisoning I will let you know. naw, just messing with you, but it was good to the last crumb. Hi Judy - Hmmm. I guess you're worthy. I''ll bring you a jar, but you'll have to pack it in your bag so they don't confiscate it at the gate! I am heading out the door with high hopes of finding my very own bag of Meyer lemons at Shaws. 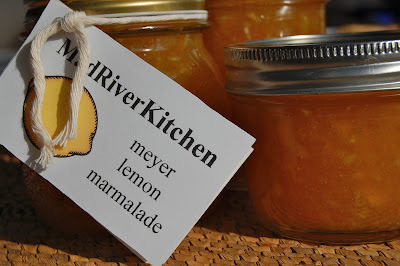 I have never met a Meyer lemon (that I am aware of), but think they will be perfect for curd. Nice running into your blog.